Occasionally I'll buy non-sports cards, usually in Korean. 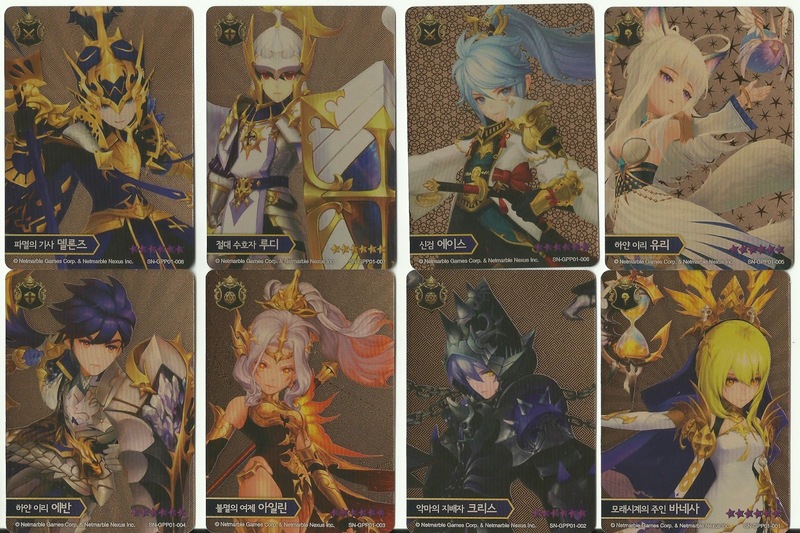 The set below is a 15 card set based on the Korean phone app game, Seven Knights by Korean game publishing company, Netmarble. This set is the Gold Plus edition. These cards are beautiful in person. Also, these are just cards for viewing, no gameplay with these. The backs are the same for all cards. 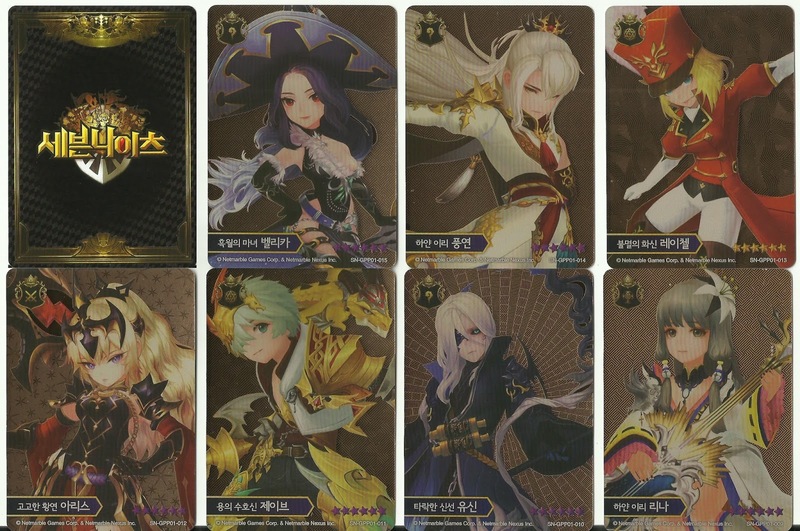 I do not know if these cards sets were released in English but do know there is an English version of the game app. Each pack I bought on Gmarket came with five cards (in numerical order) for this set, plus a few packs of other released Seven Knights sets. Each pack you buy is pre-arranged to be any of the following: SN-GPP001-005, SN-GPP006-010, and SN-GPP011-015.